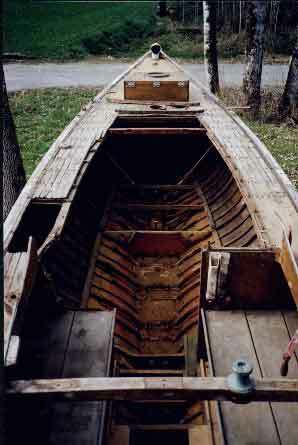 Boat Name: "Alana", ex. 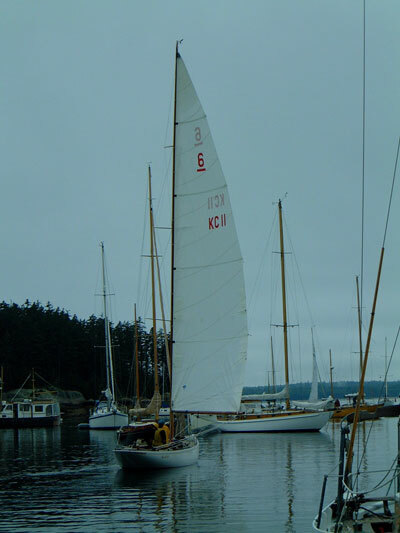 "Priscilla II"
History: It is unclear how Alana made her way to the West Coast of Canada, but that's where she spent the 50's and 60's under the ownership of Vic Palmer, then Chester Rickert. 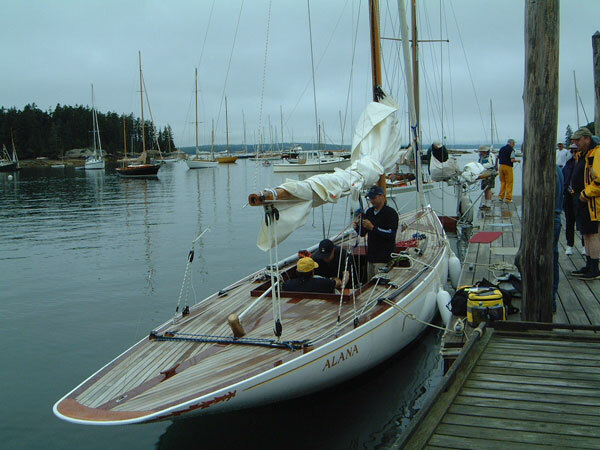 She was extensively cruised through the Gulf Islands along Vancouver Island and competed in several of the North American championships held on Puget Sound in that time. 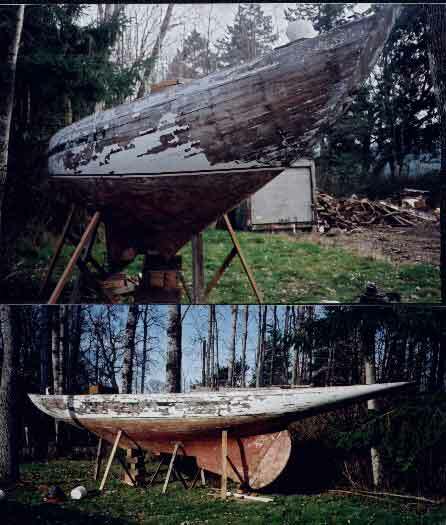 Through the 80's and 90's Alana appears to have moved from one low budget owner to the next, and after being claimed as scrap in a house rental lien dispute, she was moved to a junkyard, where her lead was melted off her keel with a blowtorch. Randy Cunningham, to his eternal credit, finally tracked Alana down and sold the boat to the most deserving of various inquirers, Toby Rodes. 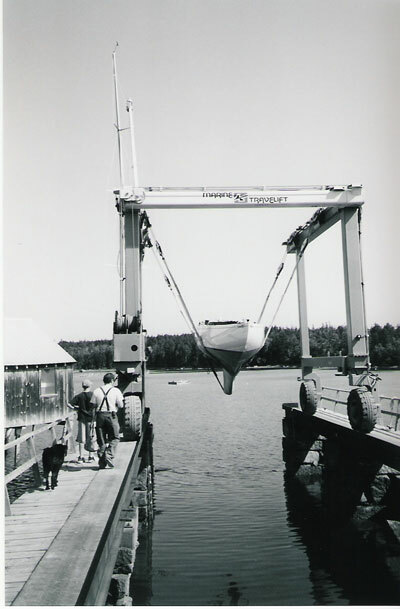 Alana made the 3500 mile trip to Brooklin, Maine via truck transport in the Fall of 2000. 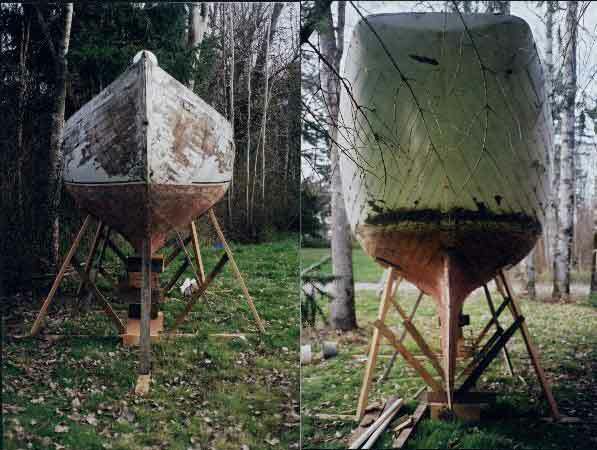 After assessing the situation, and understanding that he could improve Alana's weather performance, Toby employed the services of David Pedrick Yacht Design to create a keel design sympathetic to the time, but updated to Rule 3. 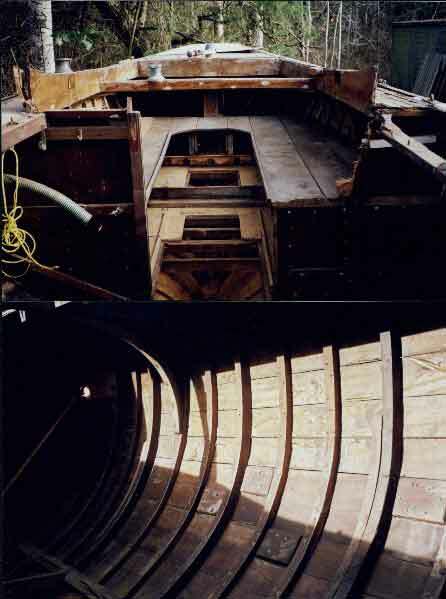 Mr Pedrick and Jacob Vargish used lines obtained from Sparkman & Stephens from the famous Goose to guide their way on the new keel, but used the original plans obtained from Fairlie Restorations for the deck and cockpit layout. 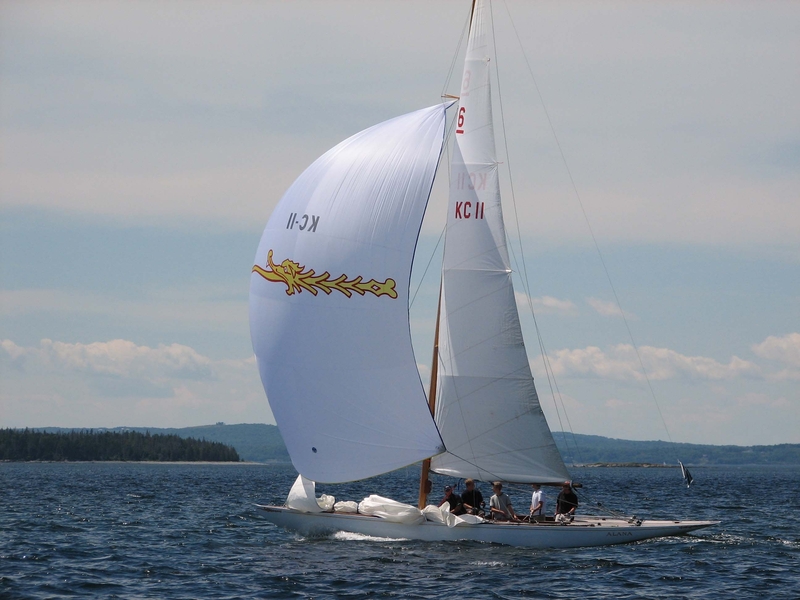 Since the rig was missing at the time of aquisition, a new mast and boom were designed by Pedrick and built in Maine.